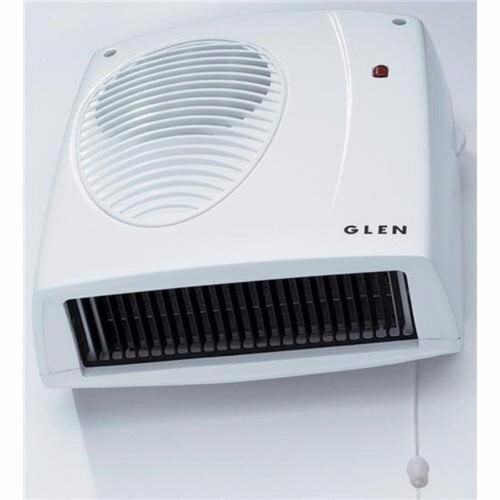 The Glen 2kW Wall Mounted Fan Heater is a popular and cost effective choice for those who want instant warmth in bathrooms, shower-rooms, ensuites and kitchens. Dimensions - 260mm (Height), 245mm (Width), 120mm (Depth). 1 Years Manufacture Warranty included by the manufacturer. A great little heater just right for bethrooms and bedrooms. Real value for money and very efficient. Delivery next day. Well packed but not over done. Electrical World Replies: Hello, this unit is for hard wiring. You will need to get a competent electrician to connect a mains cable into this.